I speak at a lot of events, especially WordCamps. I also am a part of many WordPress and blogging related groups. I also started writing for GoDaddy’s Garage (blog), in September 2016. My tune didn’t change because I started writing for them. It changed a few years before that. 1. They had an experience with GoDaddy well over 5-8 years ago, that made them feel anger. 2. They didn’t like GoDaddy because of their chauvinistic advertising campaigns, and disrespect toward women. 3. They recent had an experience with GoDaddy, but never gave GoDaddy a chance and didn’t even ask for support. Instead, they immediately went to social media to complain. Having a problem with your web hosting is understandable. Also, having a problem with a company that doesn’t coincide with your beliefs are understandable. However, GoDaddy has changed. GoDaddy does want business from as many people, but they understand if you feel they aren’t a good fit. 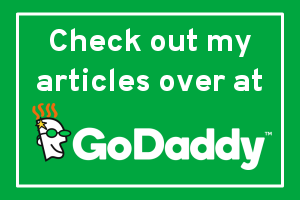 I’ve had some bad experiences with GoDaddy, mostly through my web design and development clients having problems, but they weren’t really enough that I decided to write the company off. I actually voiced my opinion straight to a GoDaddy employee. I had been really passionate about it, even rude. What made me step back is how the employee handled the issue. They truly wanted to work with me and my clients to get to the bottom of it. In the past couple years, GoDaddy has pushed forward to focusing on helping not just people of the WordPress community, but other content management systems have a better experience. They’ve acquired more tools to make things easier for their clients, like Managed WordPress Hosting, Sucuri for securing websites, partnerships with various plugin developers, and much more. GoDaddy’s blog is a testament to the dedication that the company has to making sure clients have all the knowledge and tools to make their blog or business thrive. As for the chauvinistic stuff, I never had a problem with this. I don’t get offended really easy, but I know a lot of women who have. 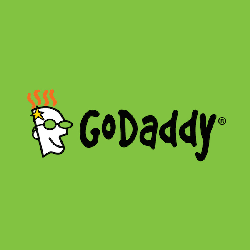 Well, GoDaddy changed out their marketing plan and their CEO. Since then, I’ve come to meet plenty of female employees that work for GoDaddy. GoDaddy was a major sponsor of #BlogHer16, and even gave thousands of dollars away to a female startup business! Having a little more patience. GoDaddy does provide phone support. If you need immediate help, use it instead of find an excuse that responses via email are slow. Looks at GoDaddy’s current body of work, rather than remember those days for the Too Hot for TV commercials. If you’re not going to be a client, at least stalk GoDaddy’s blog because GoDaddy has carefully brought in dozens of people in the business and blogging industries, that are dropping valuable and FREE information. Lastly, I’m not here to make you buy from GoDaddy. I’m here to try to get you to think differently. Sure, when it comes to spending money on something that you hope stays up and also makes you money, feelings get bent. However, let’s be rational here. EVERY web host has its problems. I’ve heard haterade from just about every web host out there. Some of it was justified, and some, not so much. I’ve been part of the haterade brigade, and have been guilty of bad mouthing web hosts on stage. The last time I did it, was May of 2015, and I vowed never to do it again. I was actually ashamed of myself, especially after the fact I kept seeing it happen online. It’s easy to fall into negativity, but hard to get out of it. I’m tired of the web host haterade that people pass around. Sure, my article won’t stop it, but whomever is reading, take a moment to think about what you’re saying in the future. In stepping back, we do make our WordPress community become more positive and grow.